Over time natural oils from your body, sweat, and other gunk will seep into your pillows and get them dirty. This can cause a yellow discoloration in your pillows, leave a few stains and be unsightly. 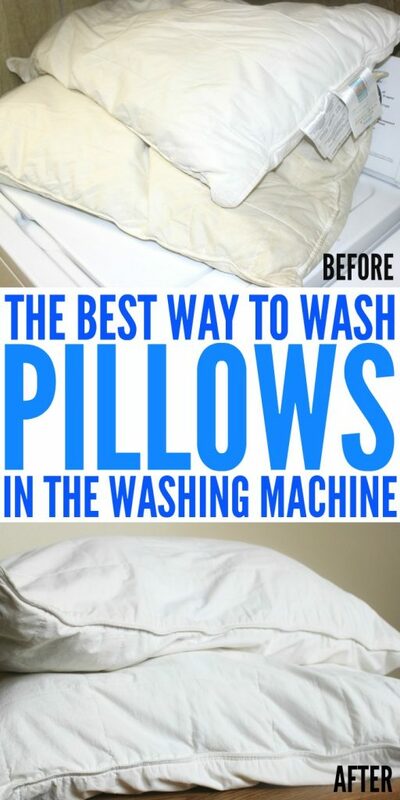 But you should know that you can wash your pillows, and revive them instead of tossing and buying new! Below I will share the best way to wash pillows in the washing machine. First, check the tags on your pillows to see if they are machine washable. In most cases, you can safely wash synthetic and down pillows. With our washing machine I can fit two pillows in pretty easily, and so I just wash two at a time. 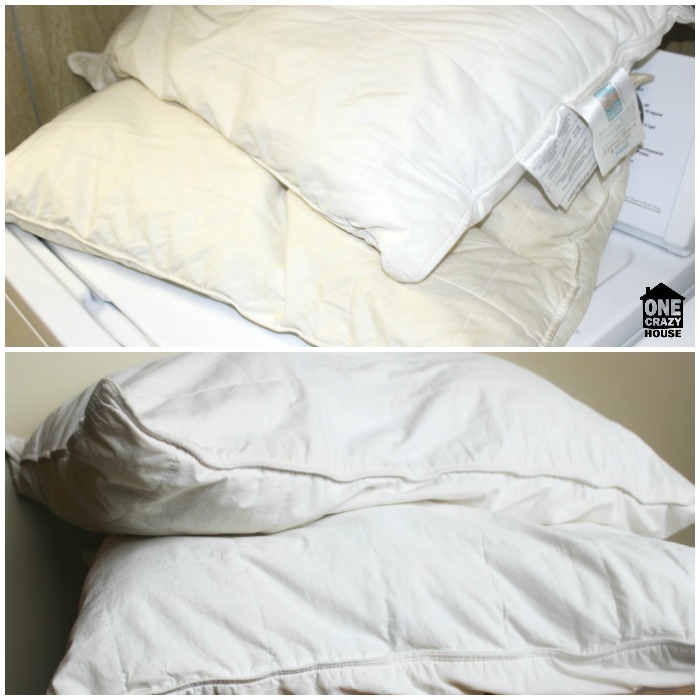 You don’t want to overstuff your machine as it won’t do as good a job getting your pillows clean and white. As previously stated, make sure the tags say it is machine washable. You don’t want to ruin your pillows. Most down and synthetics are safe to be washed. Start running your washing machine on the longest cycle using hot water. 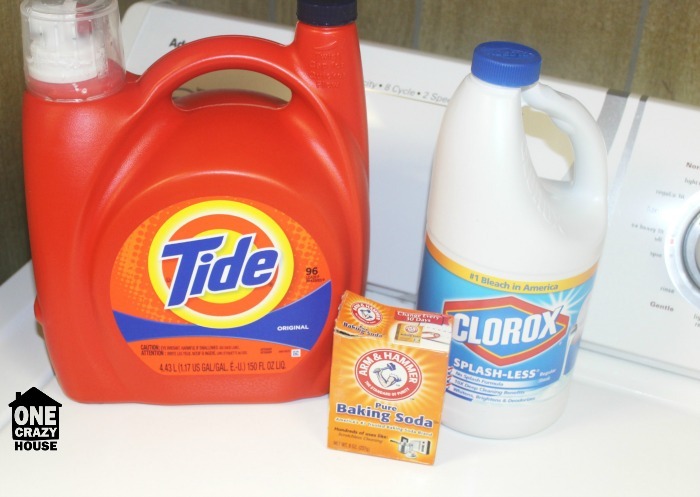 Add in your laundry soap, baking soda, and bleach and then place two pillows in the washer. After your washer fills up with hot water turn it off and let your pillows soak for 1 hour. You can go push the pillows down and move them once during the wait time if you want to help make sure that all areas of the pillow get treated. After the hour is up run the rest of the cycle like you normally would. Toss pillows in the dryer (see setting preference in the note below) to get them dry. If you have a tennis ball or two, you can toss them in to help keep your pillows fluffed and not have the filling piling up in one area of the pillow. NOTE: Dry synthetic pillows on low heat settings. For down pillows, put them on the fluff or air setting. 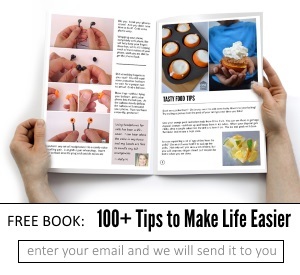 It is that simple to do and it works like a charm! I have been doing this for years and I can’t complain. Using this best way to wash pillows gets rid of the dirt, grime, dust, and sweat that seeps into your pillows over time. I generally wash my pillows about once a month to every other month. You can do it as often as you would like. 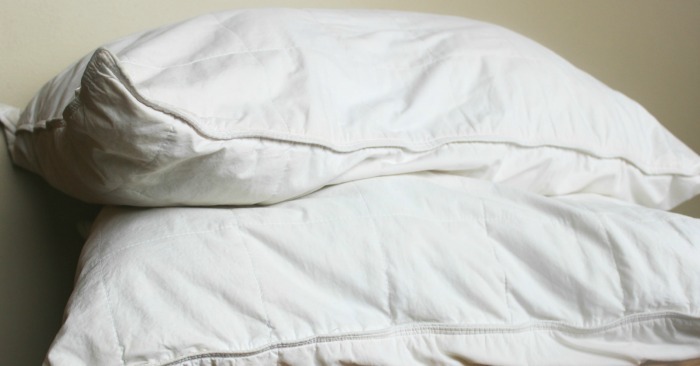 Do you wash your pillows or do you replace them?